Hello everyone! Hope you’ve had a great week. We’re back with an update regarding what has been happening in the society. Grab a cuppa or a pint – this is a big one. On Monday we were joined by an extra guest. Nicci Peet came along to our committee meeting to take some photos of us for her freelance project documenting diversity in the brewing industry. A big thanks to Nicci for coming along – we can’t wait to see the pictures. Friday was a busy day! On Friday we did the first day of brewing our latest collab with Red from First and Last Brewery. It was really good to have Red back! We also met with Naomi Larsson from The Guardian who came to report on the research we do to combat sustainability in the brewing industry. Stay tuned for more on this! On Sunday, Chris and Red finished off their brew. The gose is packed with sloes, corriander and raspberries. This beautiful brew will be launching at Tyne Bank Brewery’s Craft Beer Evolution Event on February 23rd. We’re super excited for this event. This week we’re going to be at the Refresher’s Fair where you can come and meet some of the team. 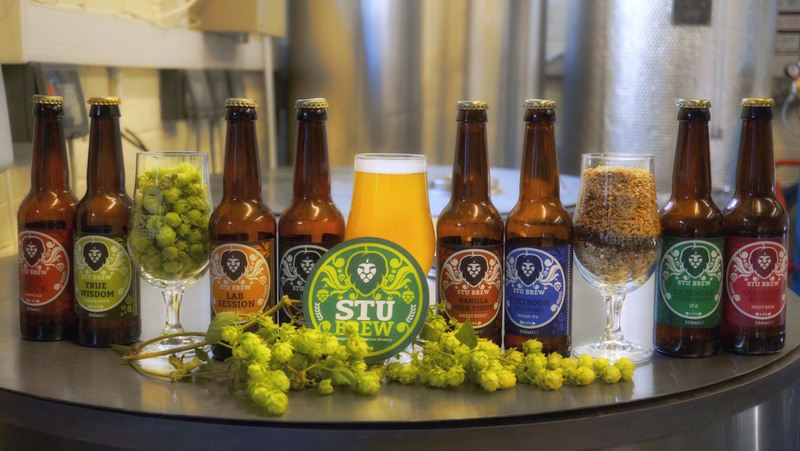 Always fancied getting involved in Stu Brew? Here’s your chance! As well as this, Home Brew Club will be meeting Tuesday at 5pm in the Buttery, Merz Court. This week’s task is a flavoured stout. Feel free to come along if you’re interested in creating some new recipes! Last, but not least, we are hosting a brewery bash on Friday. We’ve decided to pick a warmer venue this time, since it’s a bit chilly outside lately. Join us in Venue (the bottom floor of Newcastle University Student’s Union) where we’ll be serving up a range of cask and keg beers. Looking for a break from your studies, or simply a Friday evening out – we will be serving from 5pm!